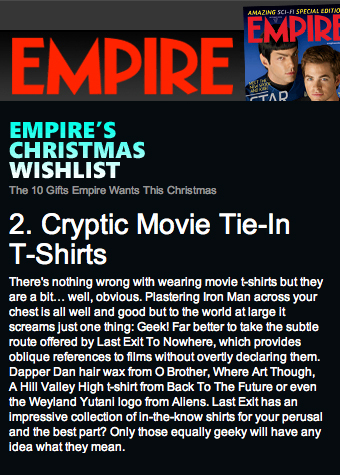 Our T-shirts are featured in Empire’s Christmas Wishlist! Ho ho ho. 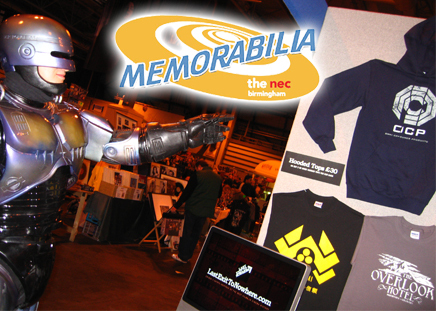 We’d like to extend our sincere thanks to all the great people we met over the weekend at NEC’s Memorabilia Show – including our good friend Robocop, from the non-profit making charity fundraisers Star Warriors (click on the image for more info about them). Thanks to all involved for making it a successful event. The third instalment of the brilliant ‘The IT Crowd’ written by Graham Linehan (Father Ted, Black Books) returns to our screens at the end of November. 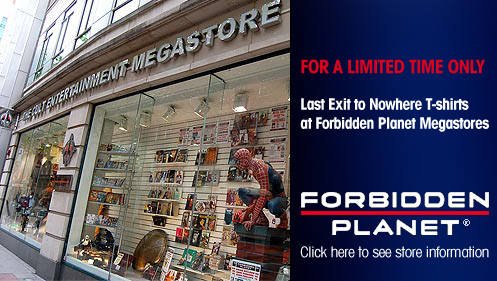 We were honoured when they asked us for a handful of Last Exit to Nowhere T-shirts for Chris O’Dowd’s character, Roy. Click on the image to visit The IT crowd website and make sure you tune in to watch the new series. 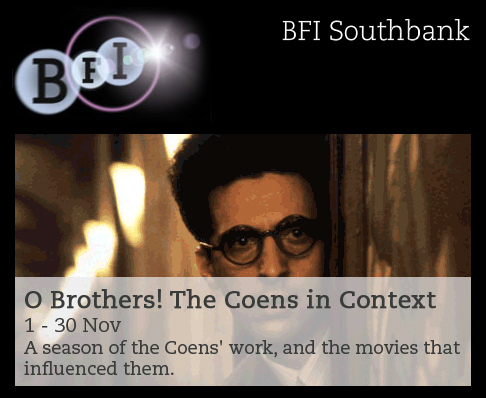 Home to ‘The Times BFI London Film Festival’, the prestigious British Film Institute, Southbank now has a selection of our T-shirts for sale. Click on the image to see What’s On.